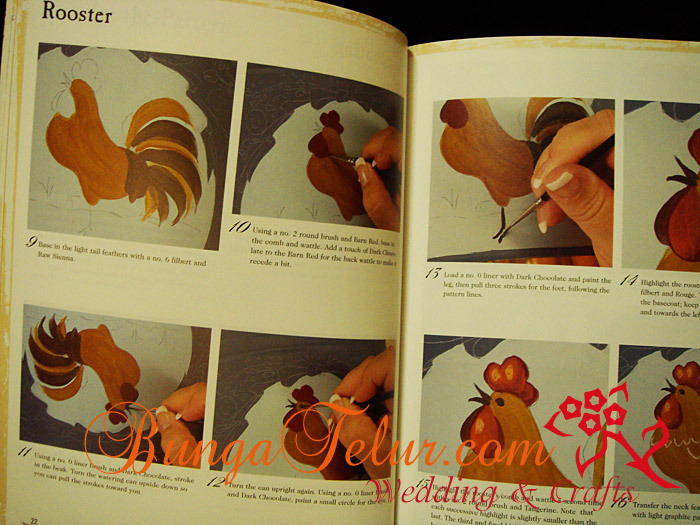 For those who love the rural country style folk art with roosters and chickens, this book is definitely for you. 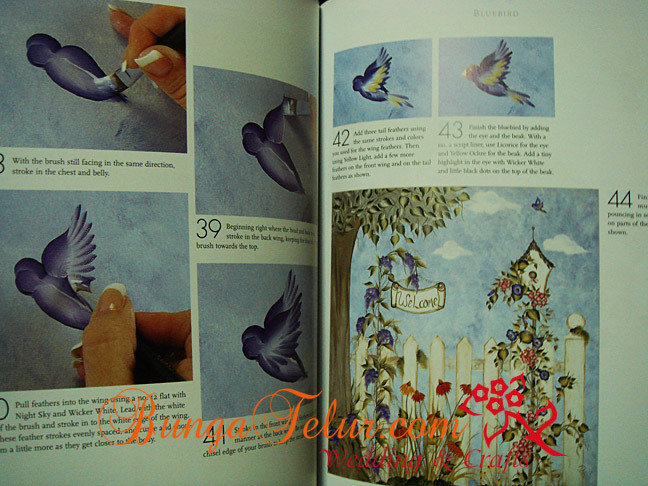 I have 3 copies to sell at RM40 each. 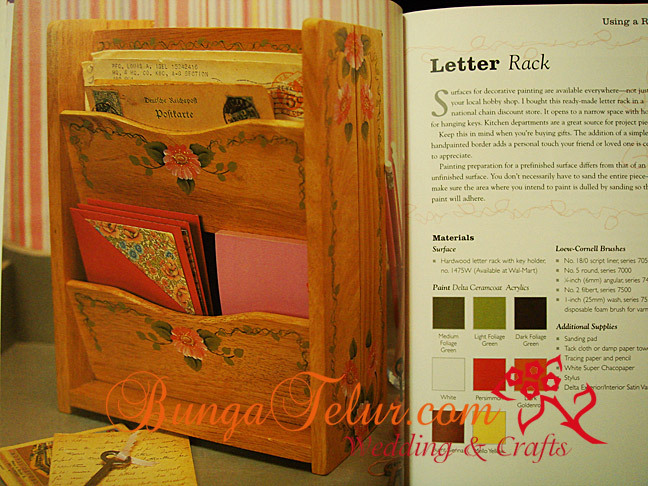 Postage will be RM8 in West Malaysia. 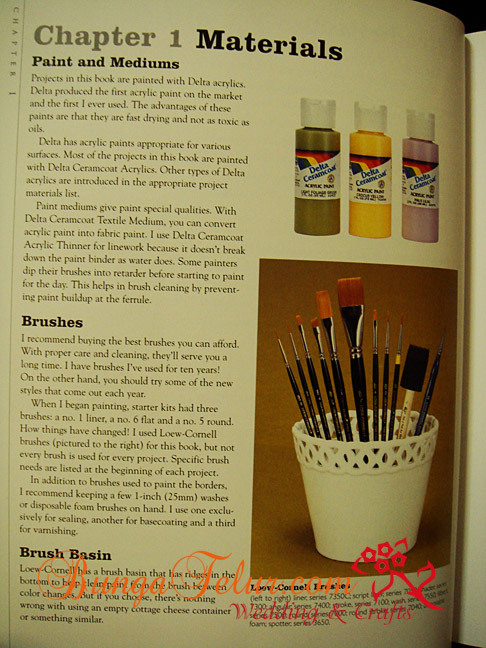 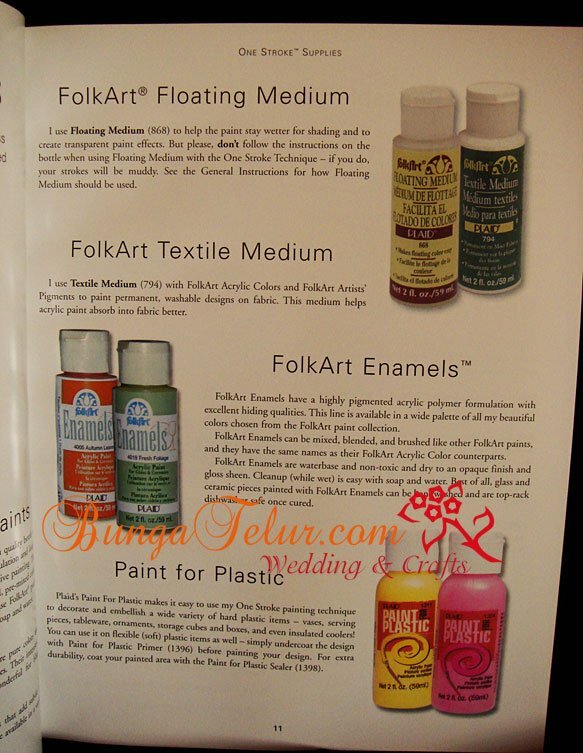 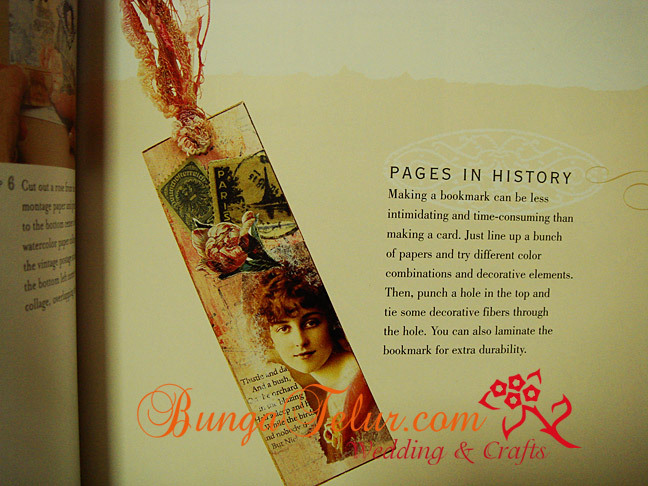 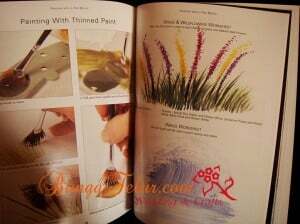 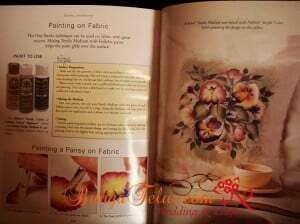 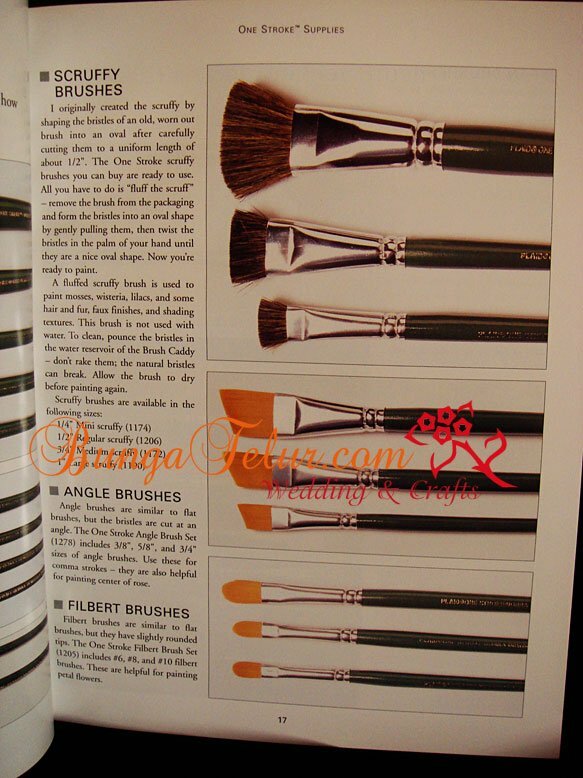 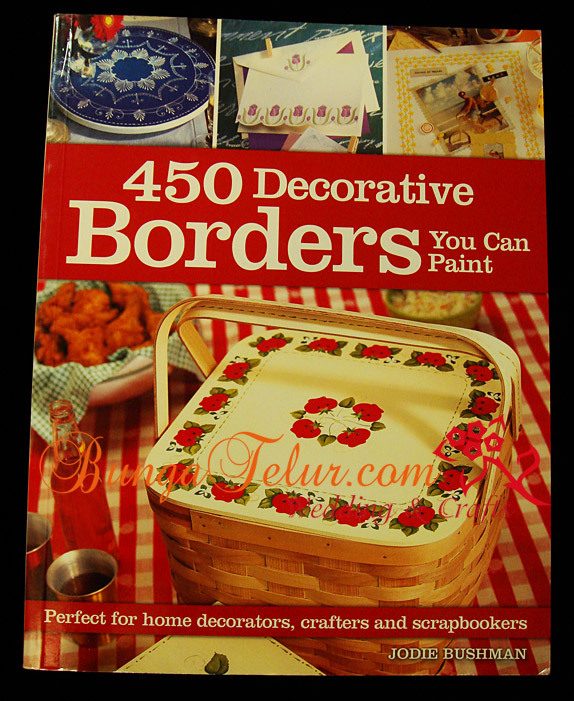 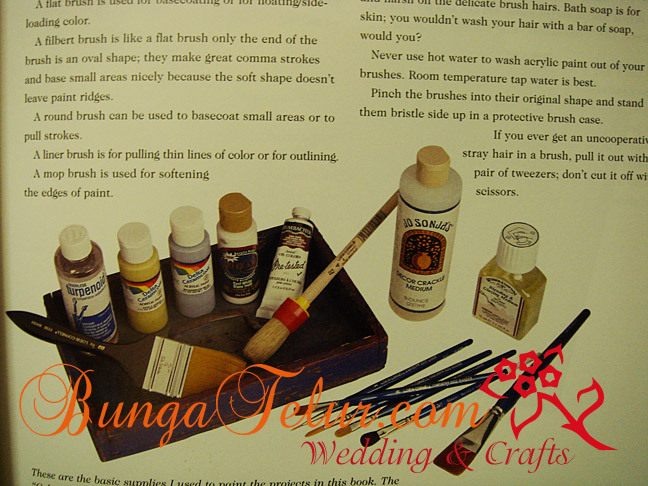 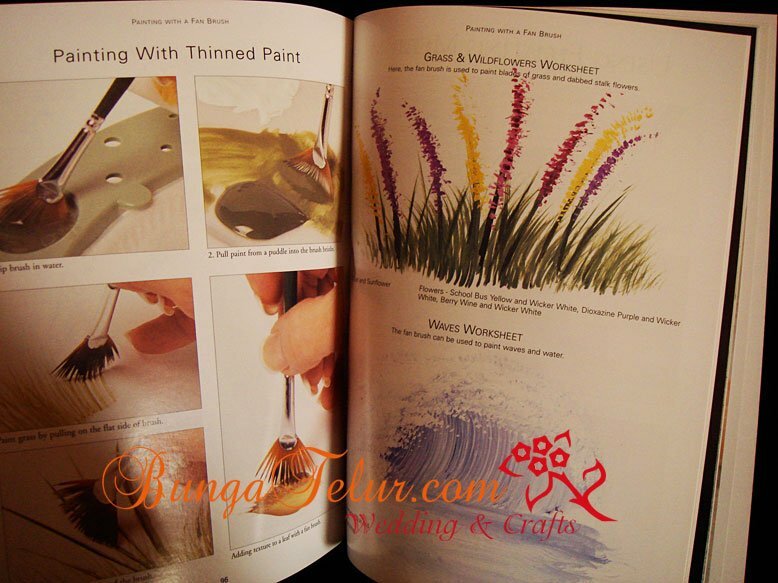 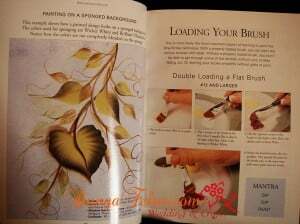 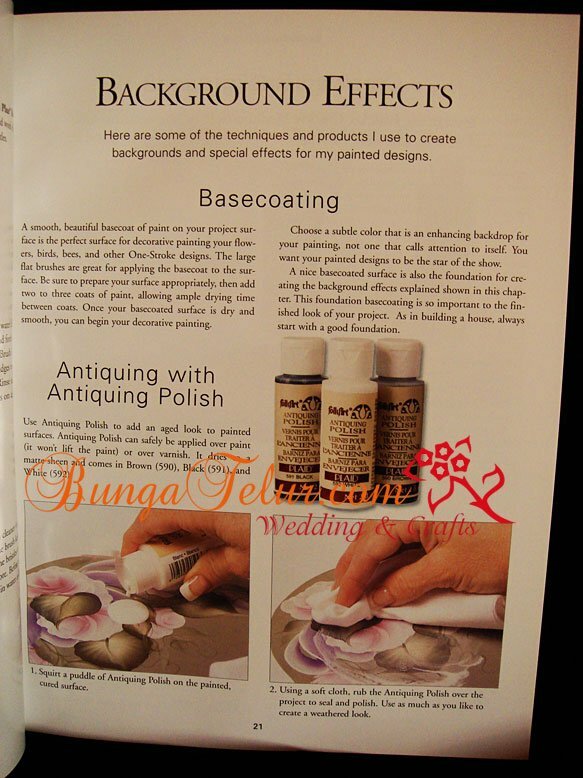 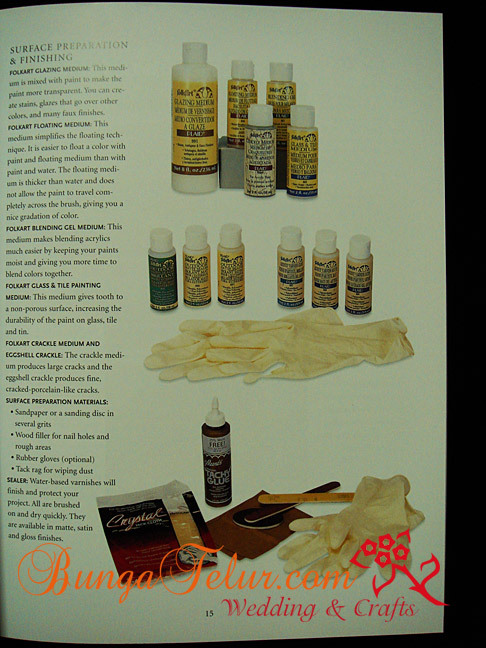 I will usually check what brand of paints and materials used in the book. 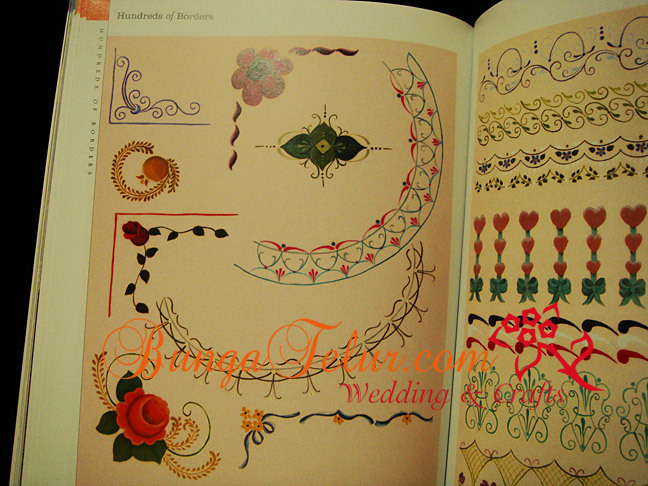 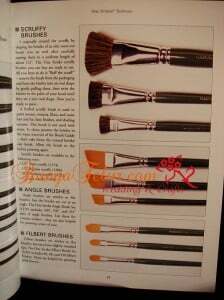 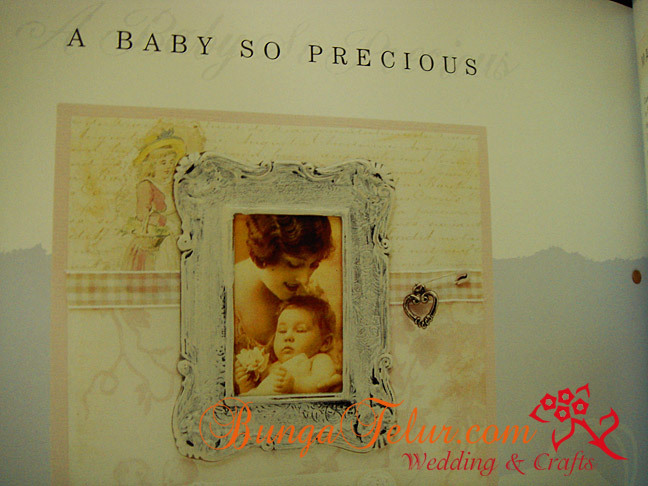 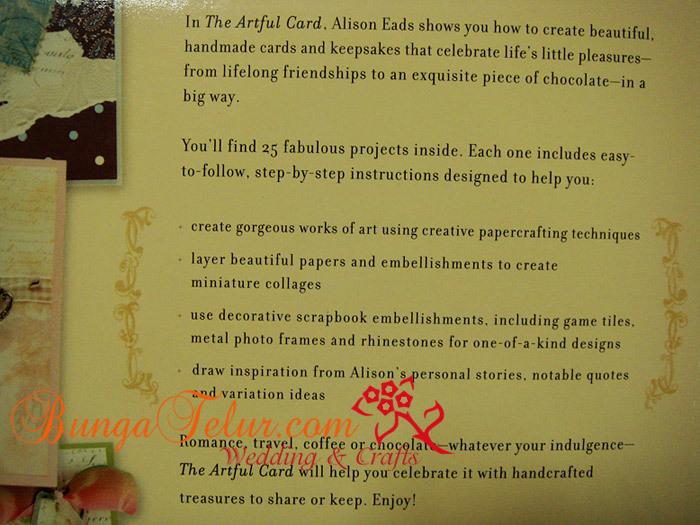 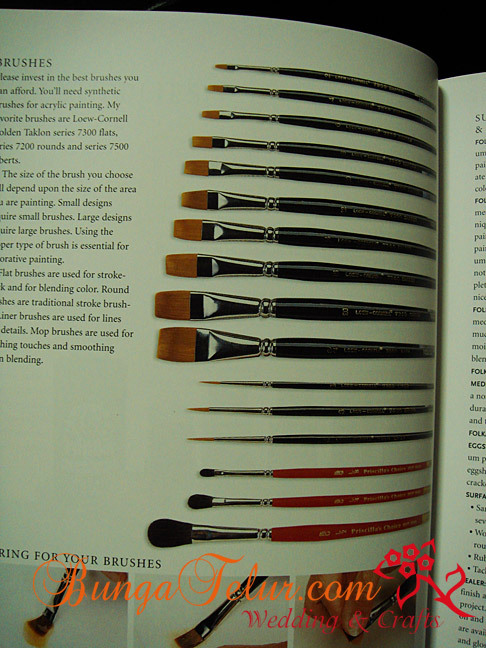 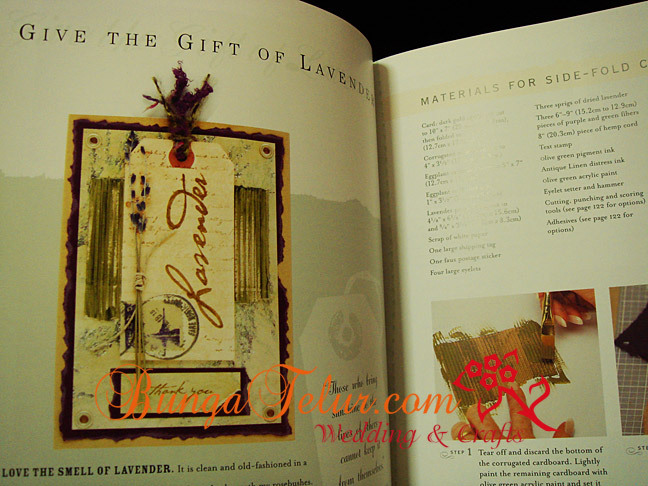 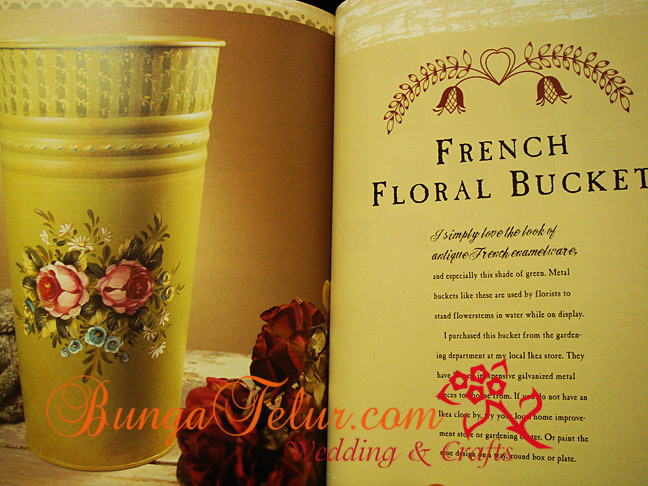 In this book, the author used assorted brands which could be found in Malaysia. I never use spray varnish before. 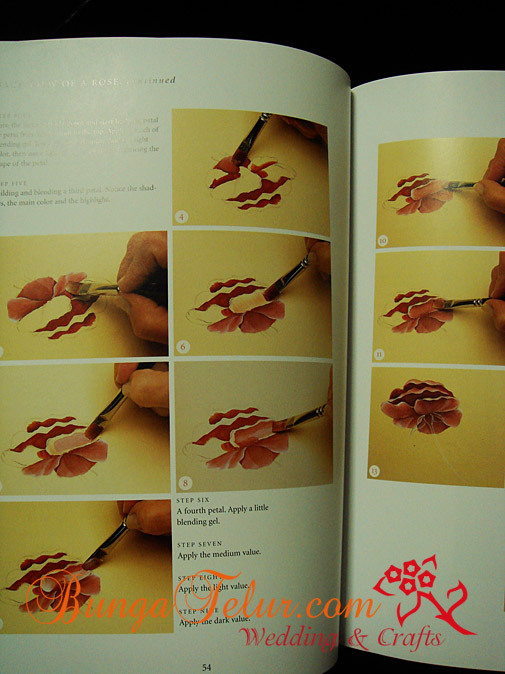 Will be a good idea to try one. 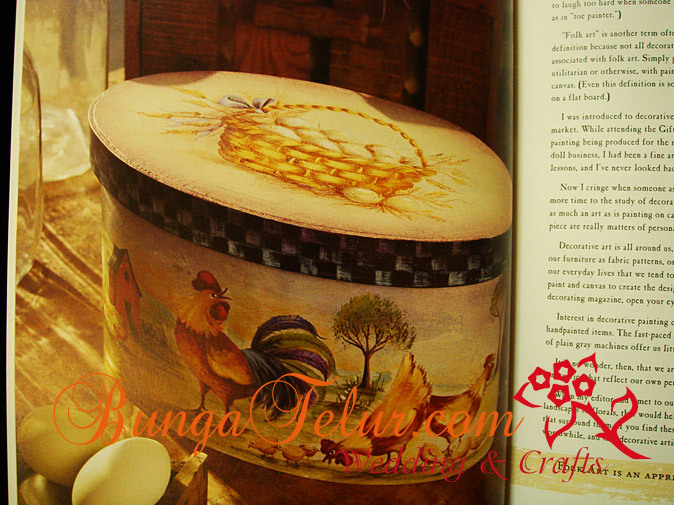 Most decorative artist love rooster and hens. 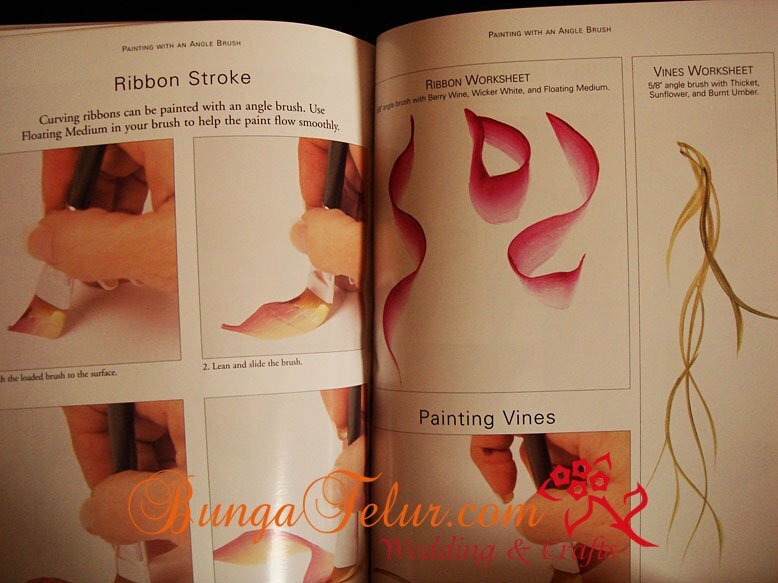 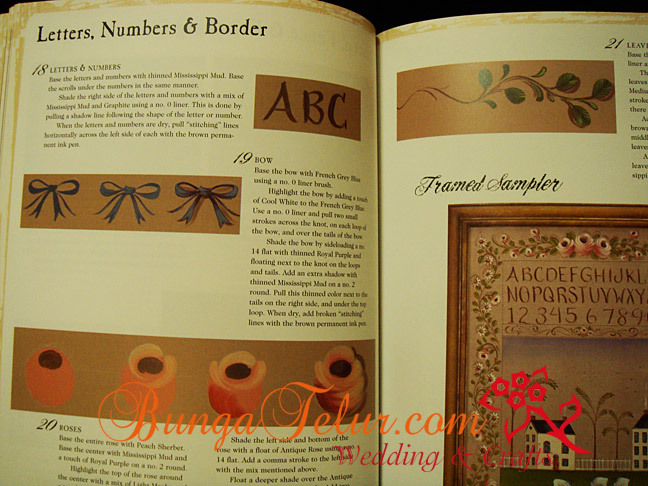 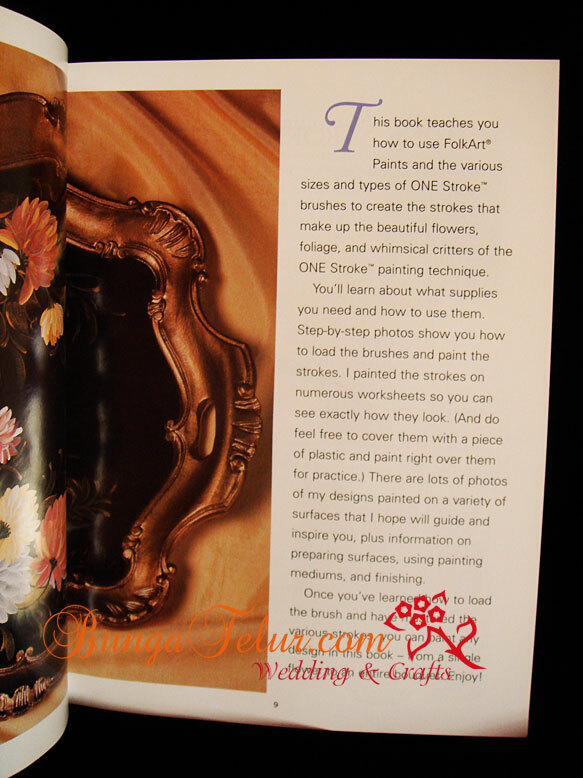 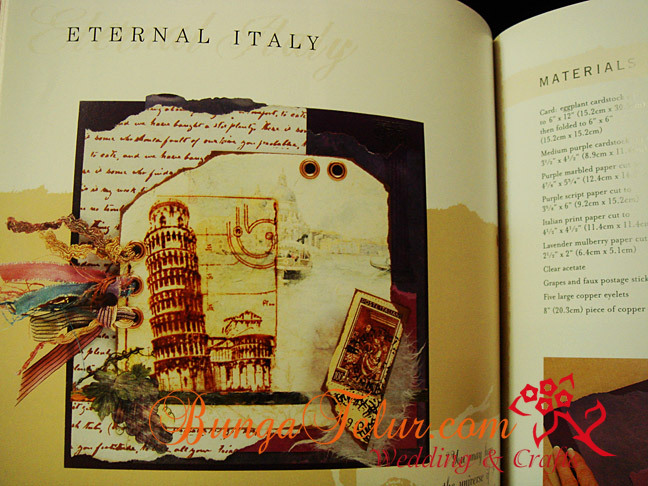 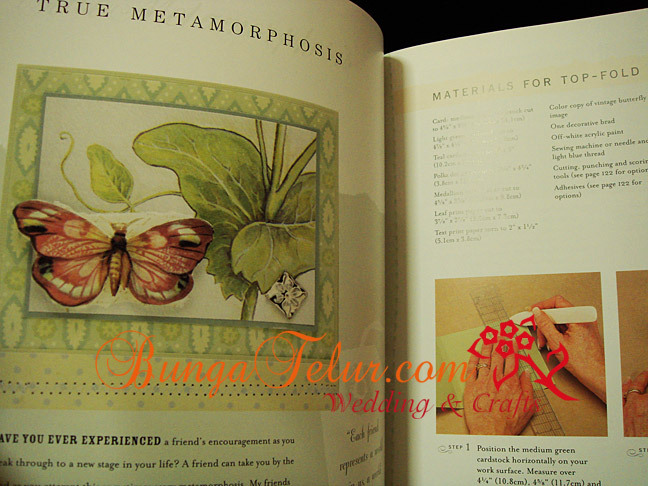 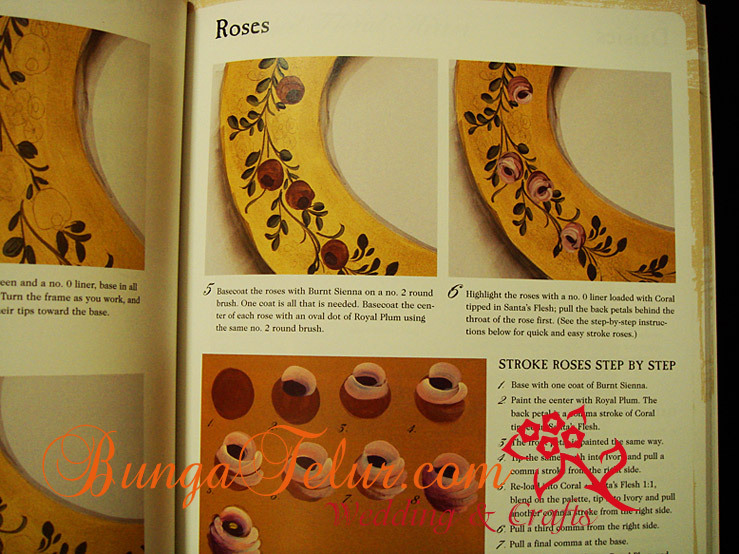 The brushstrokes shown in the book is simplified and loose. 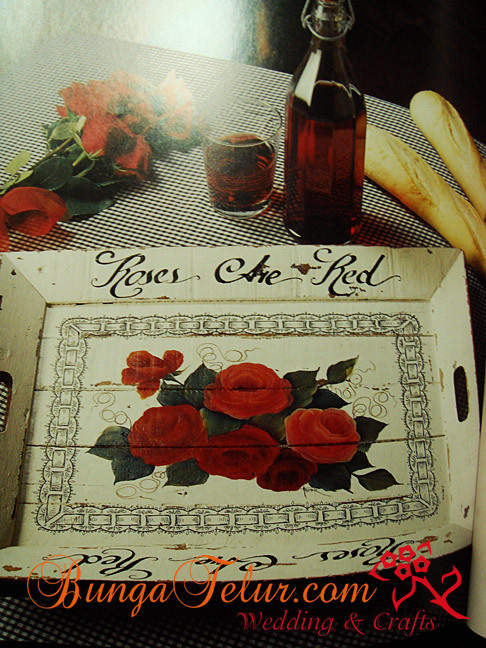 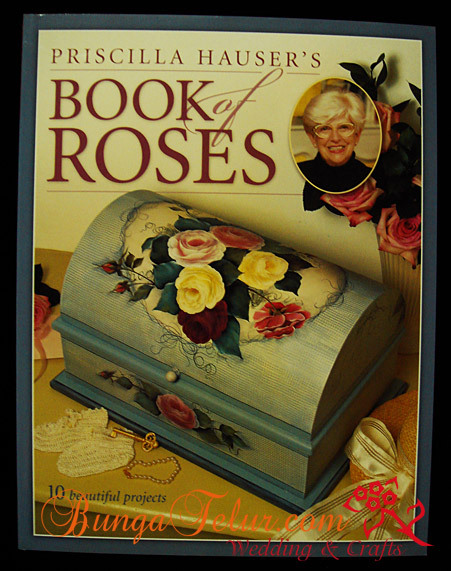 What I really love to try is this roses on metal bucket. 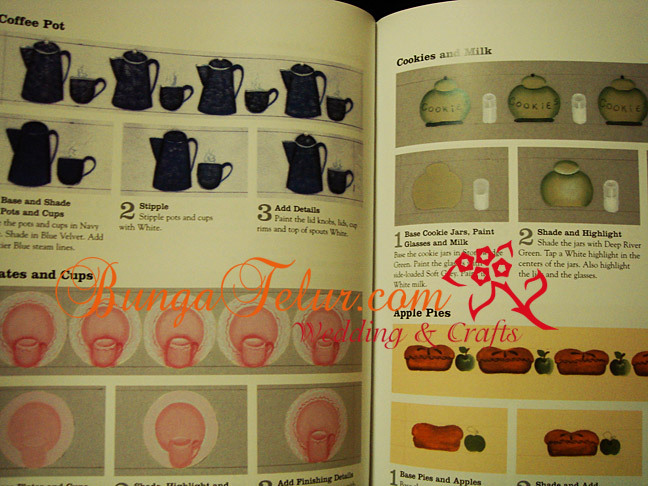 I have a few buckets bought from IKEA which are waiting to be decorated. 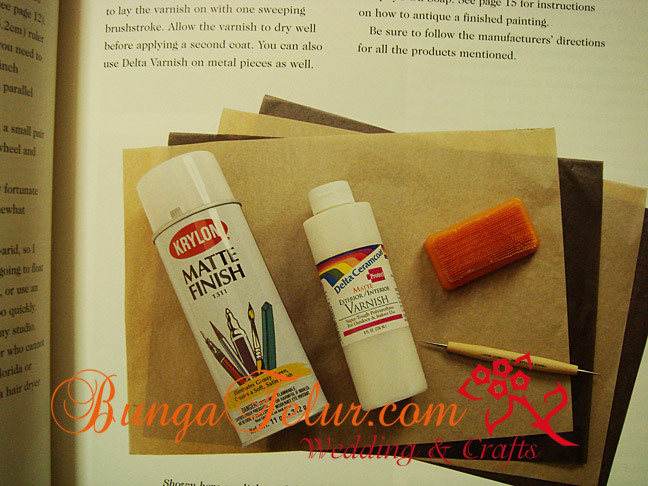 It shows how to basecoat the metal bucket and create the rustic, aged look. 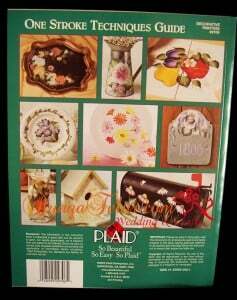 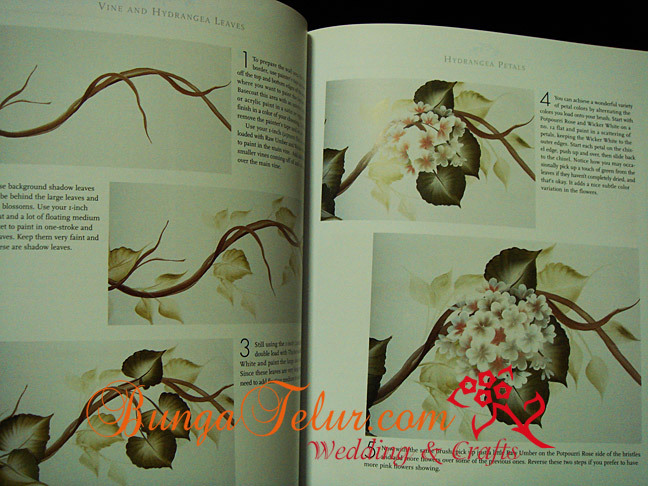 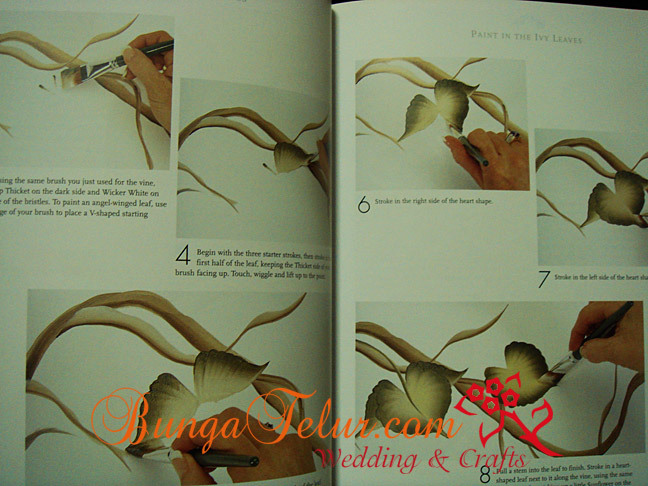 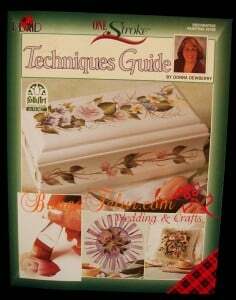 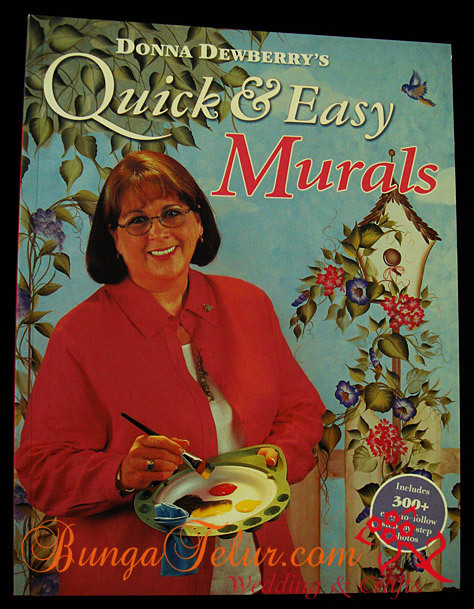 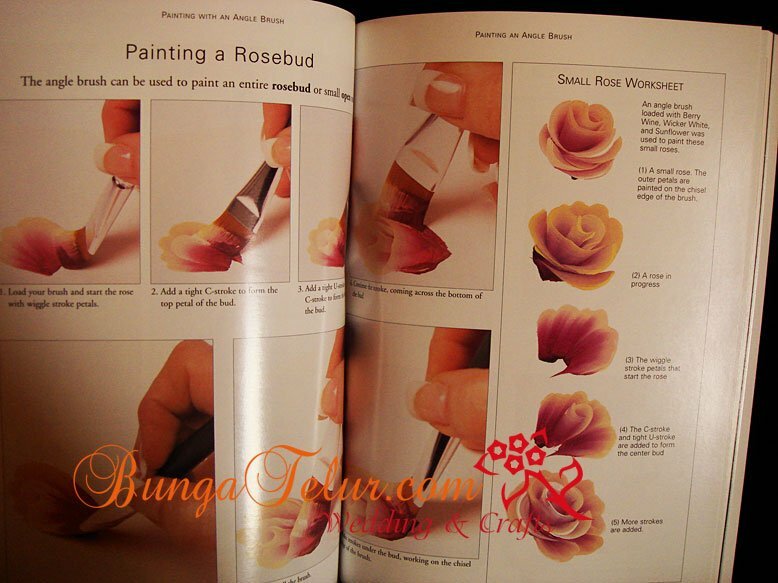 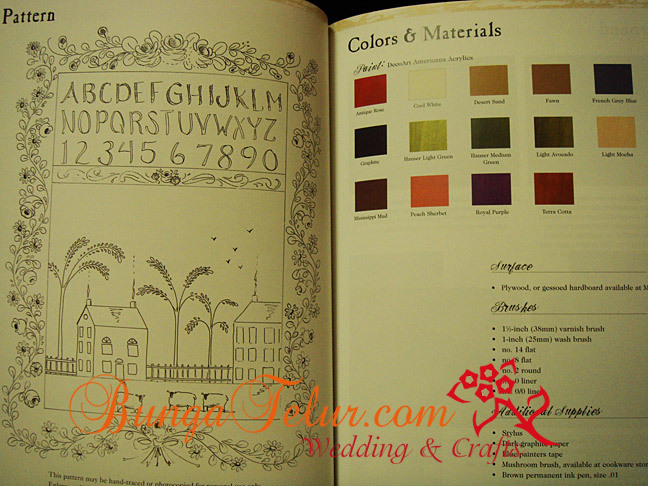 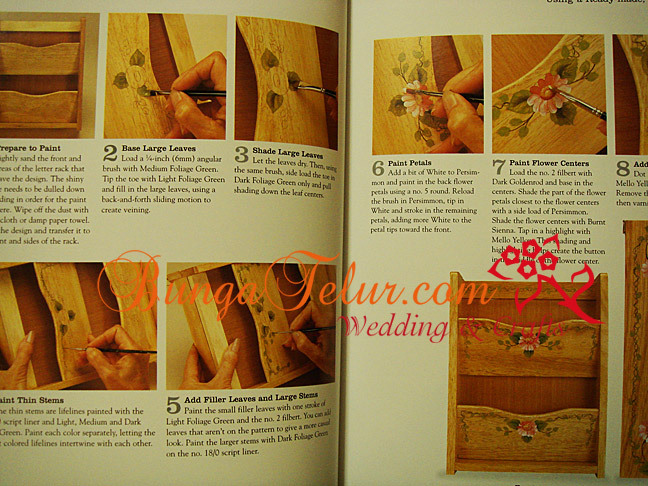 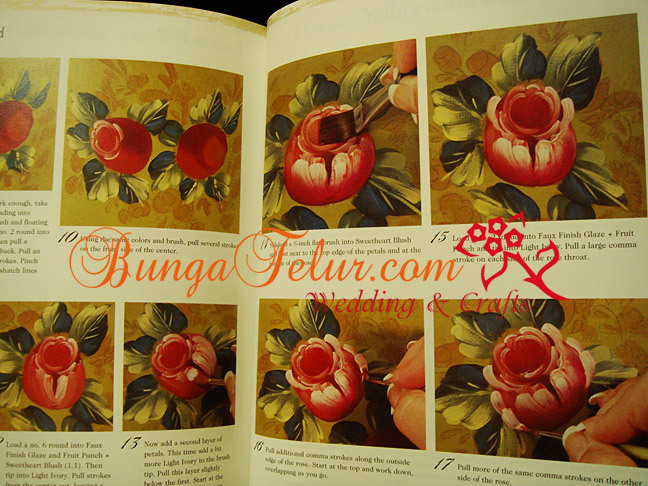 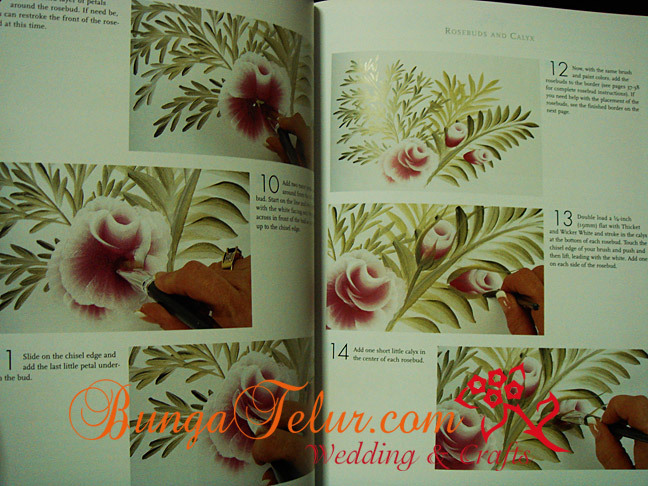 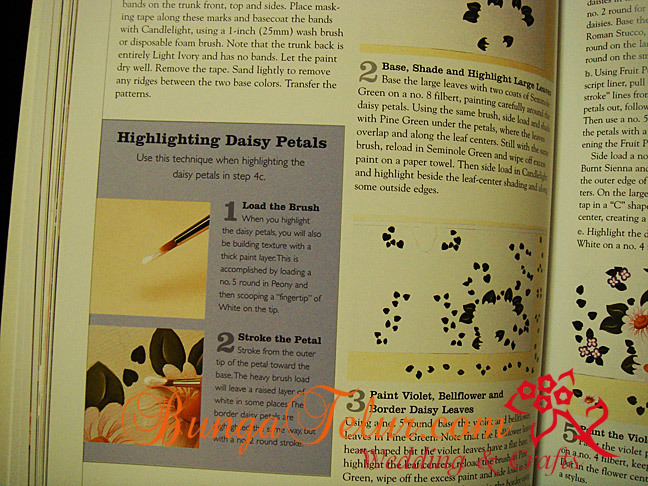 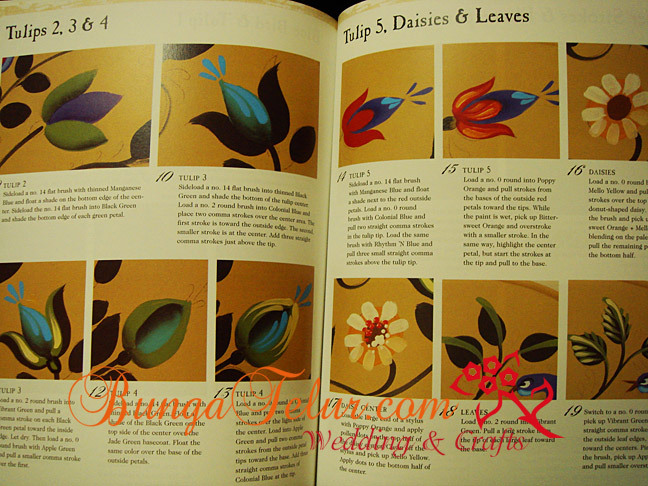 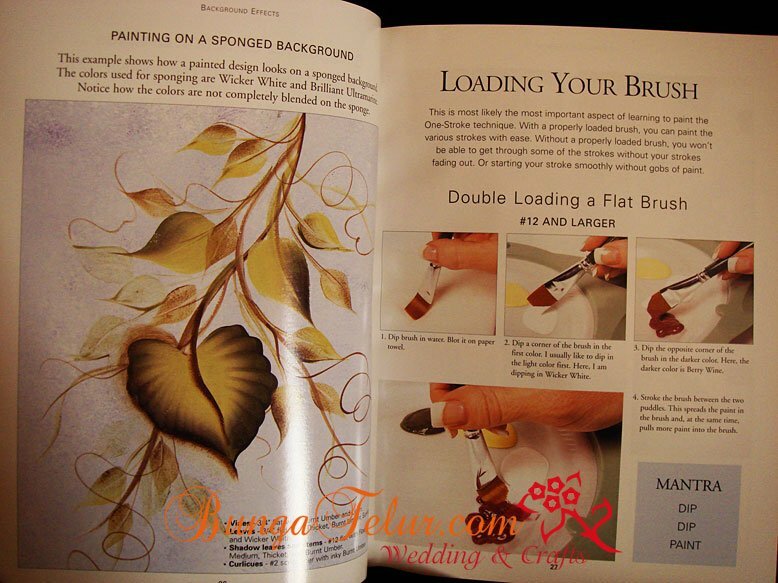 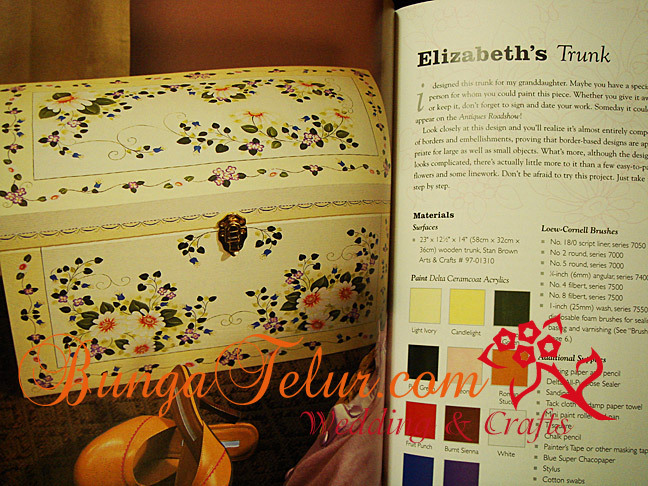 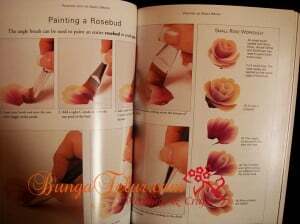 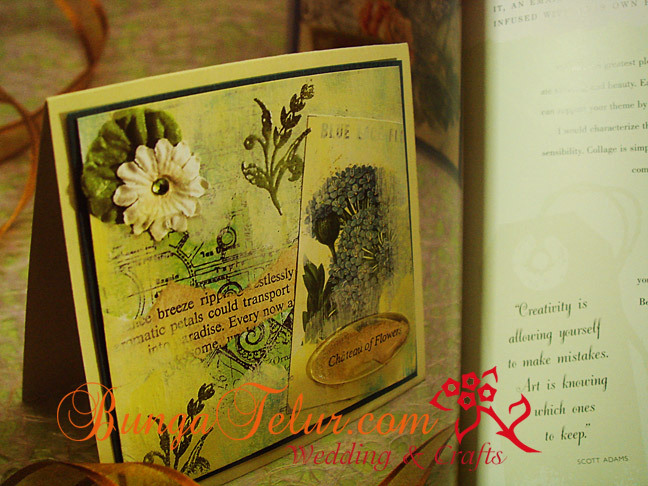 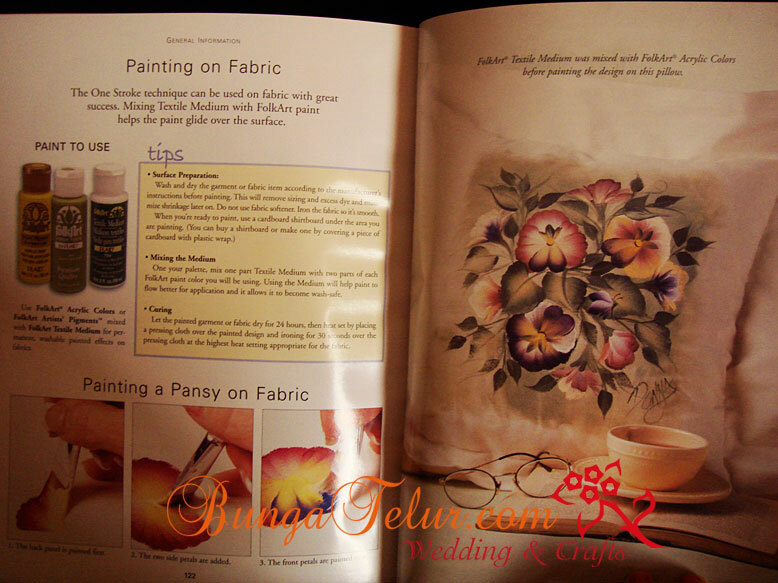 There are steps to be followed on how to paint the leaves, roses, yellow flowers, blue flowers and daisies. 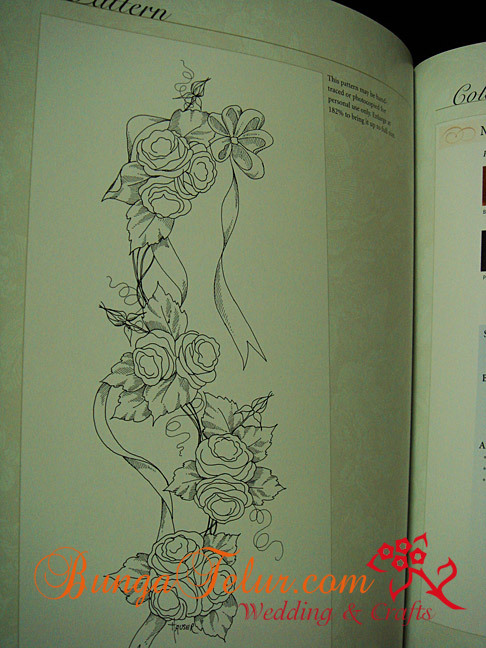 Of course the technique will be different compared to other artist, as shown in basic strokes for rose above. 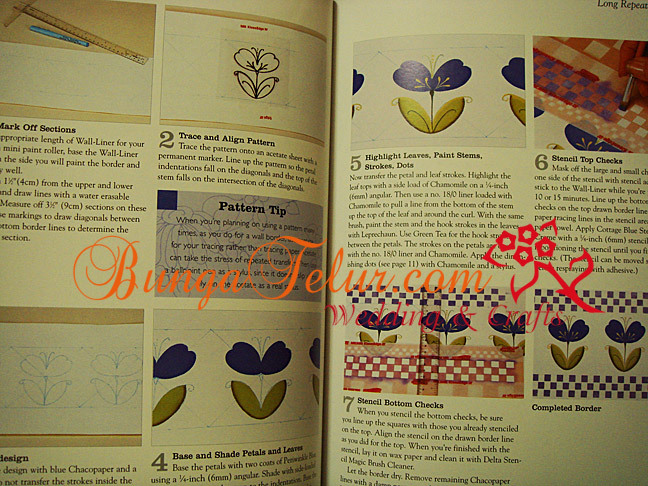 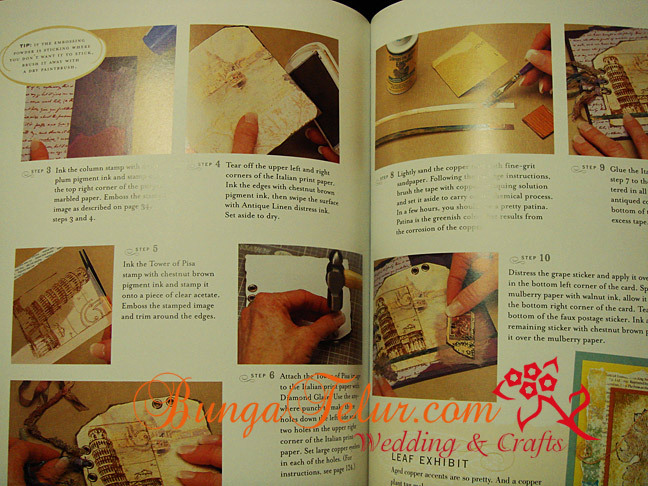 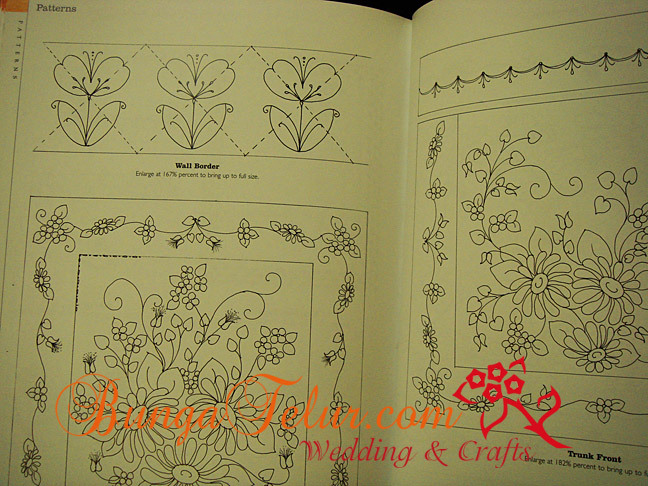 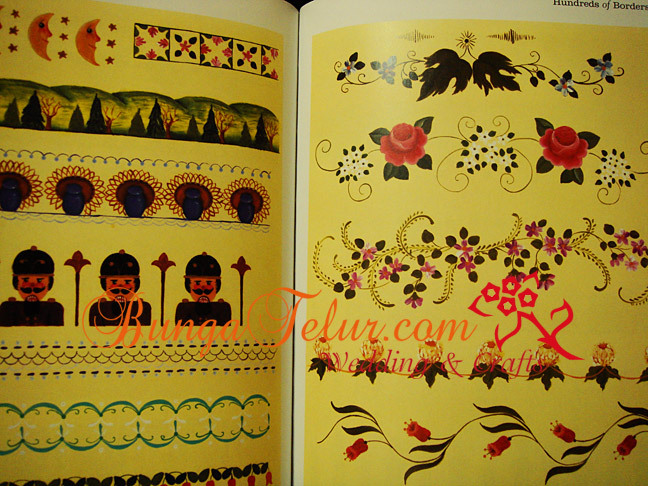 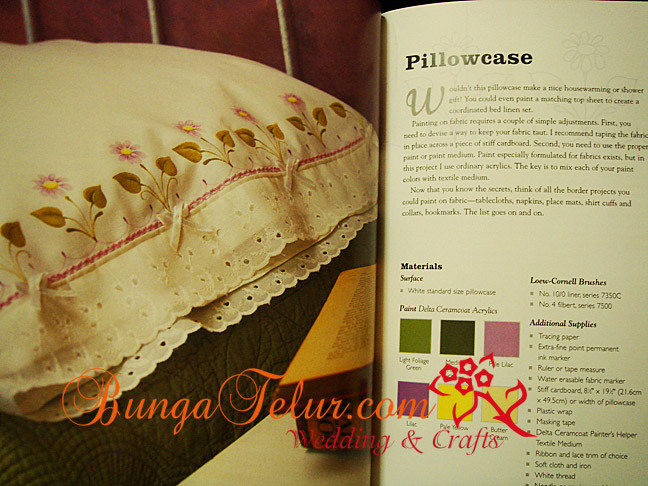 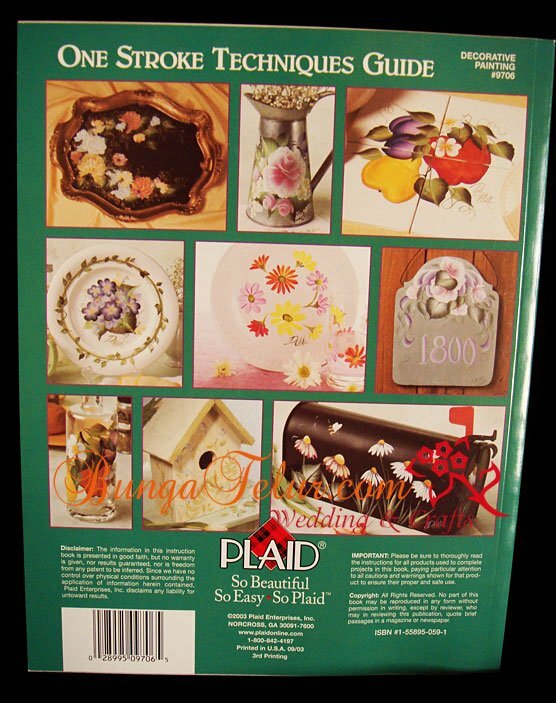 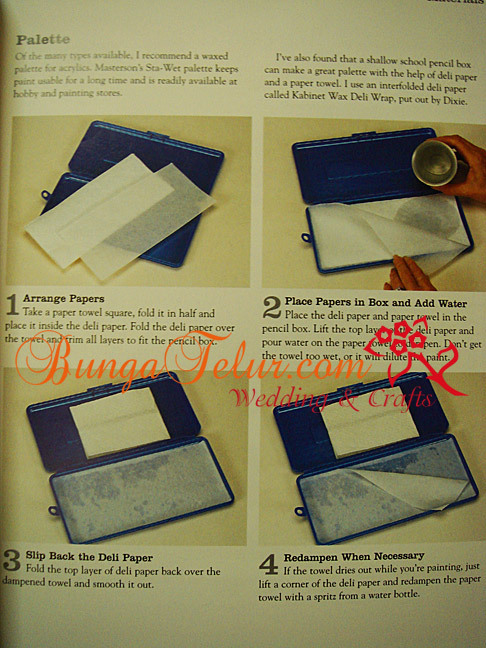 You can find pattern which can be photocopied and enlarge to bring it to full size. 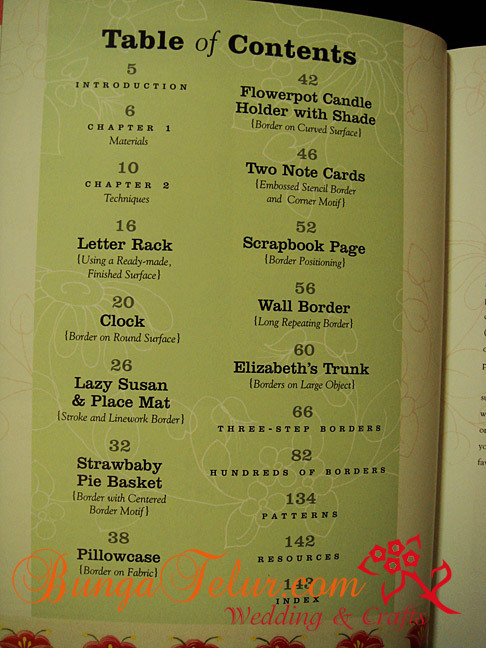 These are the steps to paint numbers, letters and border for the sampler project. 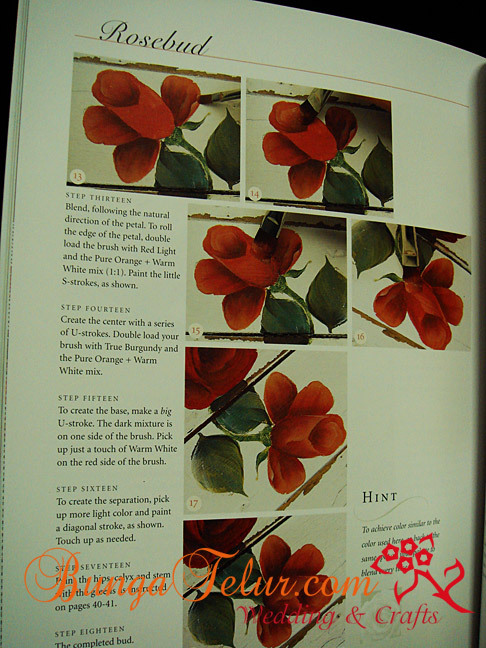 These are the steps for painting tulip, daisies and leaves for the door crown project. 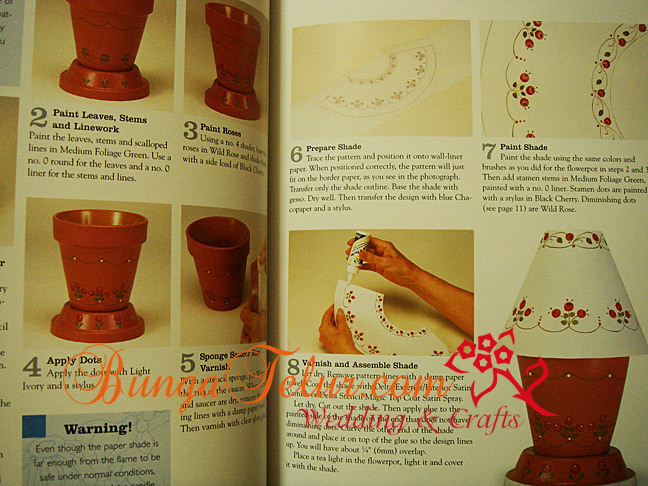 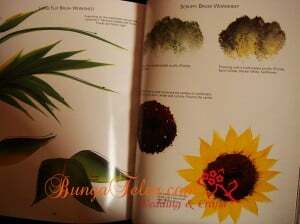 Actually there are many great projects in the book which you can learn new skills like painting basket, eggs, fruits just to name a few. 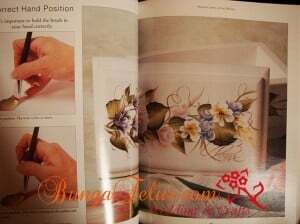 Hurry up, place your order. 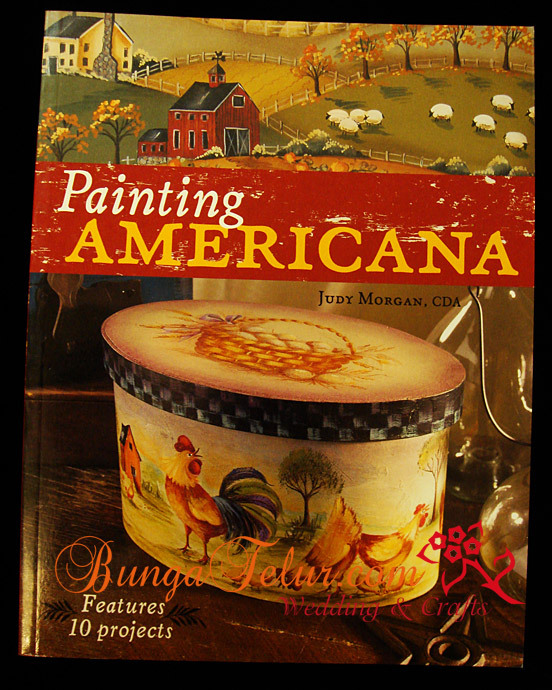 There’s only 3 copies of Painting Americana to sell. Leave your comment with a valid email address (your comment won’t appear instantly as I need to approve them) or email me directly.